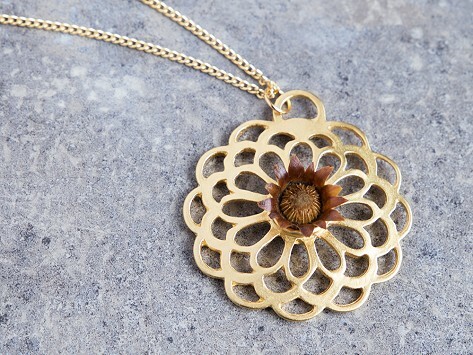 Reblooming flower necklaces are as lovely as they sound. 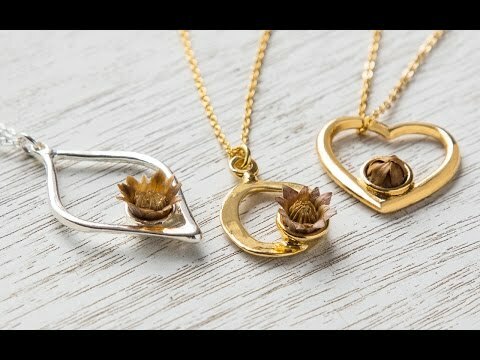 Each one features the tiny desert flower known as The Blessing Flower. With just a few drops of water, the dried bud opens its petals—and stays that way for about an hour. It can bloom and re-bloom for up to 30 years. Apply your own meaning to this everlasting blossom. It can symbolize a new beginning, signify hope, or remind you of someone special. Maker Galya Harish discovered this ancient flower while hiking in the Israeli desert—she was mesmerized when it closed right before her eyes. She decided to share her find by making the flower wearable. After years of trial and error she succeeded in growing this magical flower in greenhouses. Galya carefully selects around only 20% of the blossoms to make into her jewelry.